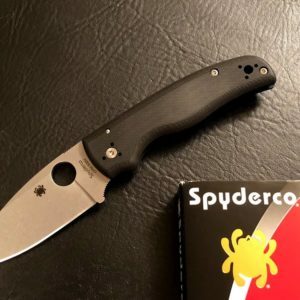 Spyderco’s Chaparral series is a family of slim, pocket-friendly gentlemen’s folding knives that celebrates the diversity of different handle materials and treatments. 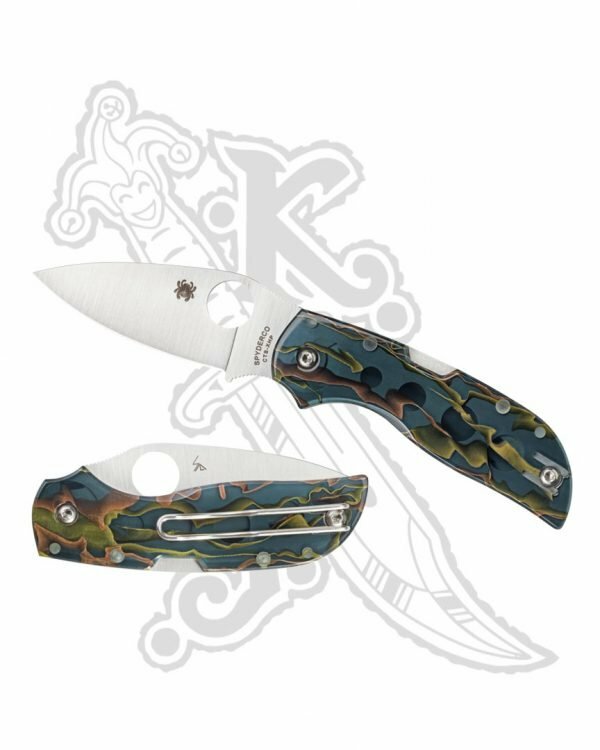 This unique version of the Chaparral features full stainless steel liners and smoke-colored Raffir Noble scales. Manufactured in Denmark, Raffir is a strikingly beautiful composite material that encapsulates metal mesh in a durable, translucent epoxy resin. The Raffir Noble pattern combines a smoke-colored acrylic with a mixture of brass and copper mesh. When machined and polished to create knife scales, it reveals a unique, semi-transparent, three-dimensional pattern with amazing visual depth and character. 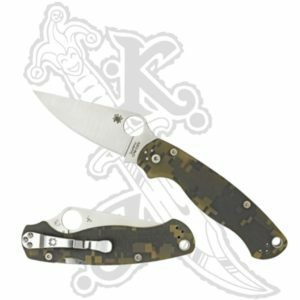 Like the other members of Spyderco’s Chaparral family, this knife features a full-flat-ground PlainEdge™ blade crafted from premium CTS® XHP stainless steel, a fully accessible Trademark Round Hole™ for ambidextrous one-handed opening, a sturdy back lock mechanism, and a reversible deep-pocket wire clip that supports discreet left or right-side tip-up carry. 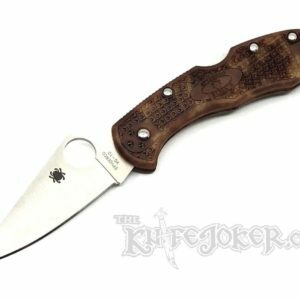 A highly functional pocketknife that also offers tremendous pride of ownership, the Chaparral Raffir Noble truly cuts with class. This Desert Camo Zome Endura is a Distributor EXCLUSIVE. A limited number of these are available. 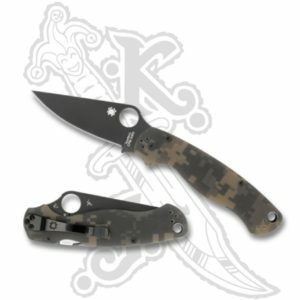 The Zome pattern will vary on every knife.